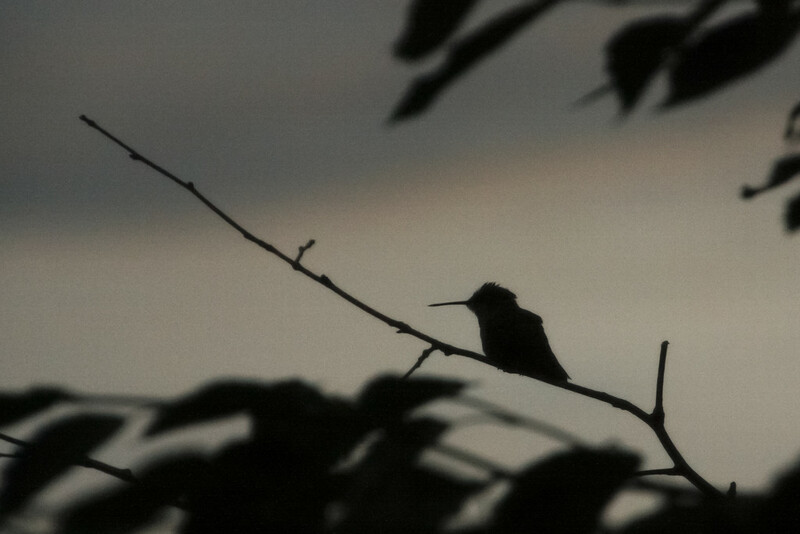 It was like WWIII between the area hummingbirds out here tonight...I was worried there would be casualties. I wonder if the feeders are doing more harm than good. This was shot through the screen porch at high ISO, so grain was a given. I don't think I've ever seen one *land* before, nice shot! It looks so peaceful -- temporary truce? @schmidt @bette ~They land pretty often when fighting - need to catch their breath!